After having riding boot envy for almost two years I finally broke down and bought a pair with my Christmas money. They are so comfortable and pretty much go with anything that I feel really stupid for waiting so long to join the club. I guess I felt like I didn't dress up enough to warrant the purchase but then I realized that the boots themselves are what dress up a normal outfit so...game on. I'm so excited about all the possibilities! 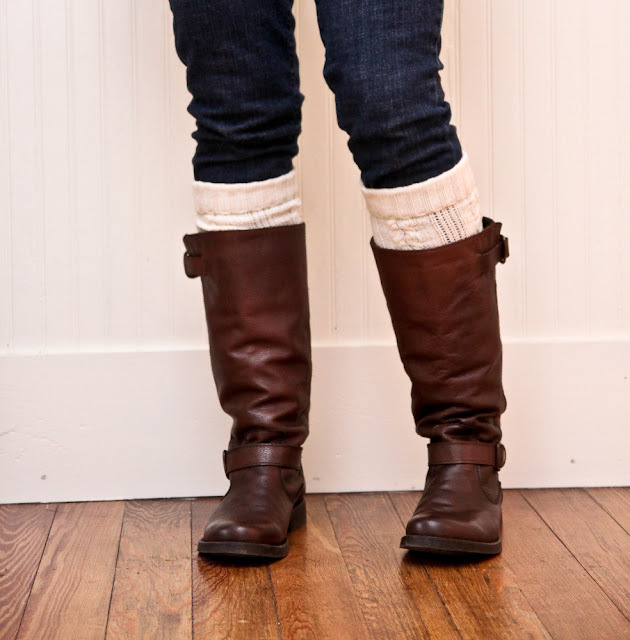 One look I'm totally digging is the riding boots with sweater socks. I had a sweater in my thrift store stash and decided to make legging out of it. You can hem the raw edges but if you don't have a sewing machine you could always use fabric glue or hot glue to tuck it under and press down so it doesn't unravel. If you use glue I suggest washing on gentle and line drying it. I got my boots from the Steve Madden outlet store for under $75. The other pair that I had my eye on were the Lucky Brand Aida that you can find for a great deal HERE. The "in my dreams" boots can be found HERE. Ok those are so cute! You always come up with such great ideas. Love those boots too! Where are the boots from? LOVE IT ALL! Great ideas! 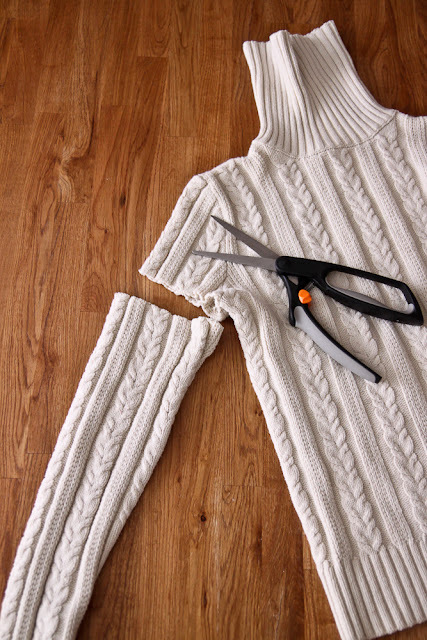 I saw some sweater leggings on Etsy for $$, so I was going to make some myself too! I absolutely love your boots with the stockings underneath! I've never seen anyone wear them like that, but I just may have to copy you....just have to go buy me some boots. I always end up waiting until a trend is almost over to purchase items. I think subconsiously I'm thinking "I don't won't those because everyone else has them." And then after the trend is over I think, "Well, it was kind of cute. I guess I'll go buy some now." I was just thinking about this the other day! Now I'm going to do it too - yours look fabulous!!! Very cute! 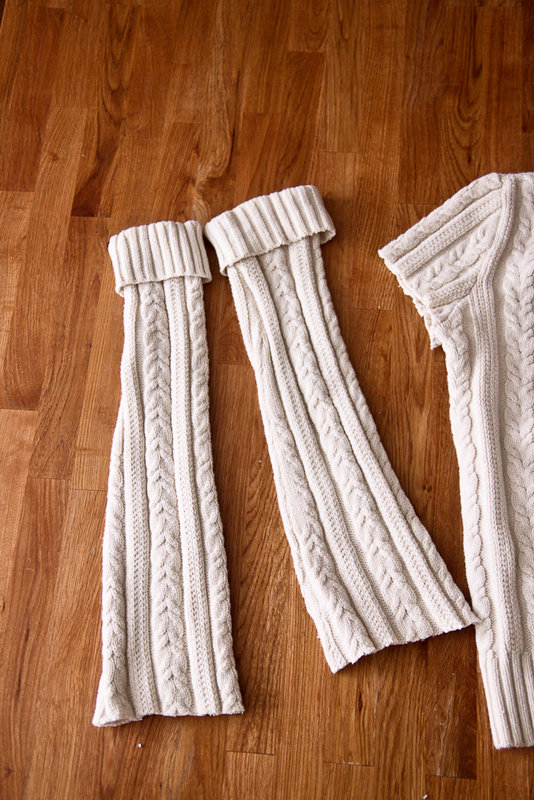 I made Tice some legwarmers with a similar idea. Not as cute, but they work great! Boy it must get cold where you live! So cute! 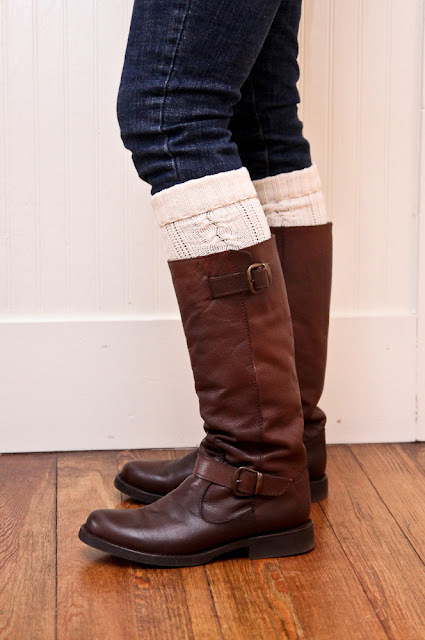 I need to be brave and buy some boots so I can make some of these! SO creative!! Thanks for sharing!! Ugh! 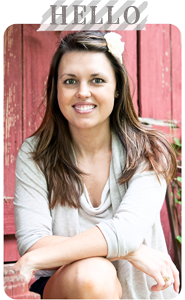 Found you through pinterest, and I'm dying over you and and your blog! How fabulous! wow you rocked both pieces! and those boots are so gorgeous!! Enjoy them! Oh, I LOVE your boots. They are the best of them all and they look great with the leggings. Where did you get those boots from... they are so cute. Thank you! I got my boots at the Steve Madden outlet store. I had a hooded wool pullover sweater and I made a pillow cover for the sofa with the torso, leg warmers with the sleeves, and mittens out of the hood! Cute ideas, I'll try making the leg warmers for fall! These boots are Steve Madden. 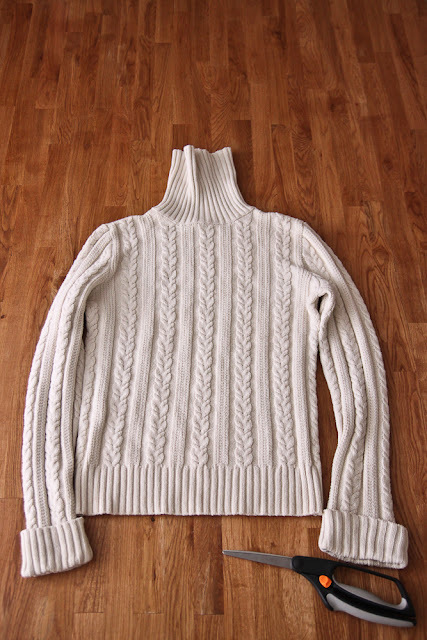 you could even go further and use the neck part for a beanie hat. for the pillow do you sew the edges of the sweater around it? I'm going to try the leggings tonight. Such a cool idea!! There are so many things to make with old sweaters! Great Idea! I'm gonna hafta try this! Thank you for the inspiration! I made mine Goth but could not have done it without your help.